When it comes to buying decals, stickers, or something else like labels, there are a number of things to consider: intended use, size/quantity, application surface/location, and lifespan. Check out the table at the bottom of this post for a comprehensive guide to figure out which sticker/decal is right for you. Decals, labels, and stickers share many of the same qualities, but the key differences lie in their intended use. Typically stickers are used for logos and illustrations. Labels are used for more informative purposes such as product packaging. And decals are used for decoration or advertising purposes on floors, windows, walls, vehicles, etc..
Stickers and labels are usually smaller in nature and applied to smaller products such as laptops, water bottles, and other product packaging. Decals, on the other hand, are usually larger and applied to things such as walls, windows, floors, and vehicles. Because of their size, decals are usually ordered in smaller quantities. 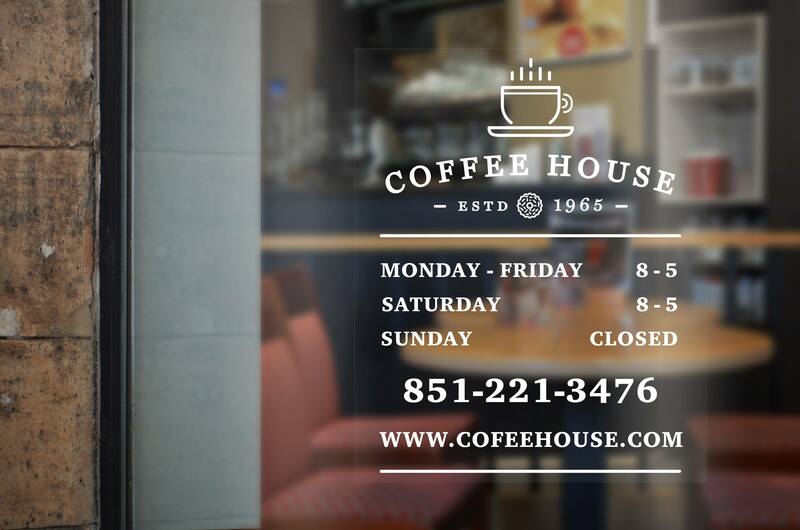 A business might order one wall decal for their wall and/or one window decal for their window. Stickers are ordered in quantities of one to many. Businesses may want to buy stickers with their company’s logo to hand out to employees or customers. Because of their intended use, labels are sold in rolls and come in large quantities. 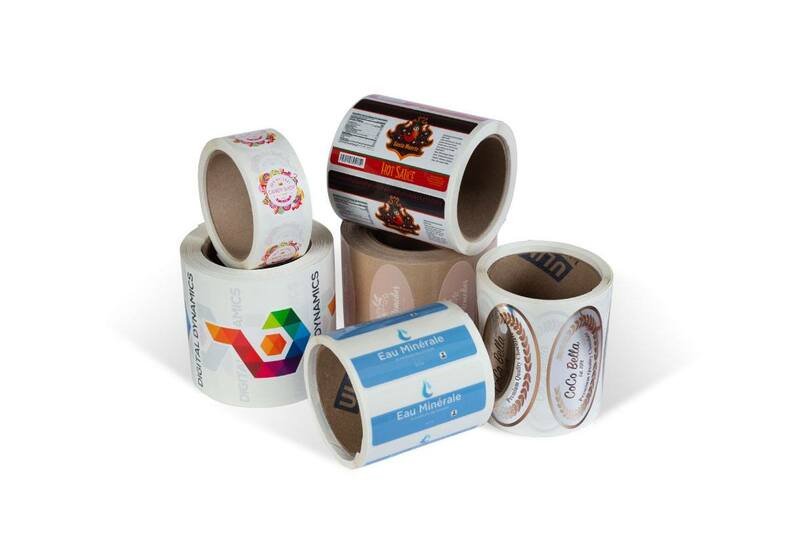 Check out our Roll Labels for more information. As mentioned above, decals are great for walls, windows, and floors. With that said, there are a number of different types of decals. A decal that goes on the floor is different than a decal that would go on a wall and both of those are different than a decal that would go on a window. If you’re looking for a decal/sticker that can be used outdoors and is more permanent, check out our permanent decals. Stickers are typically used for small format advertising. They are typically applied to smooth surfaces and can be easily removed. 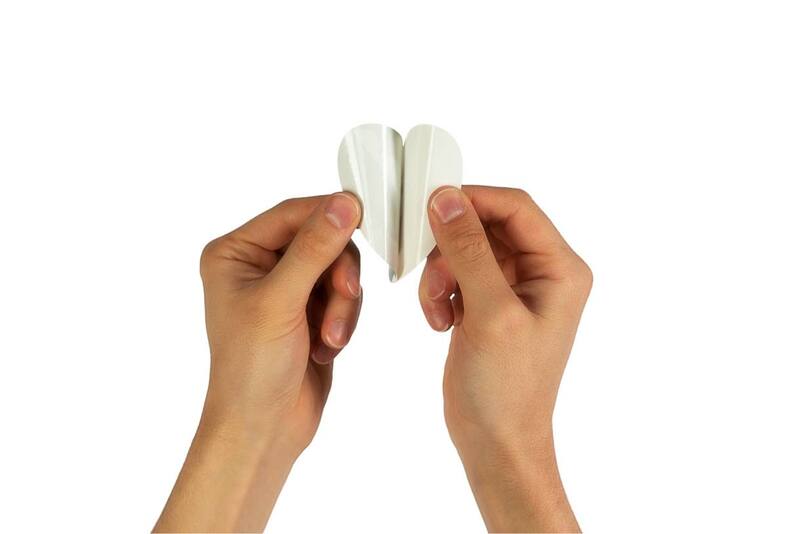 If you’re looking for something that’s easy to install, stickers are perfect. 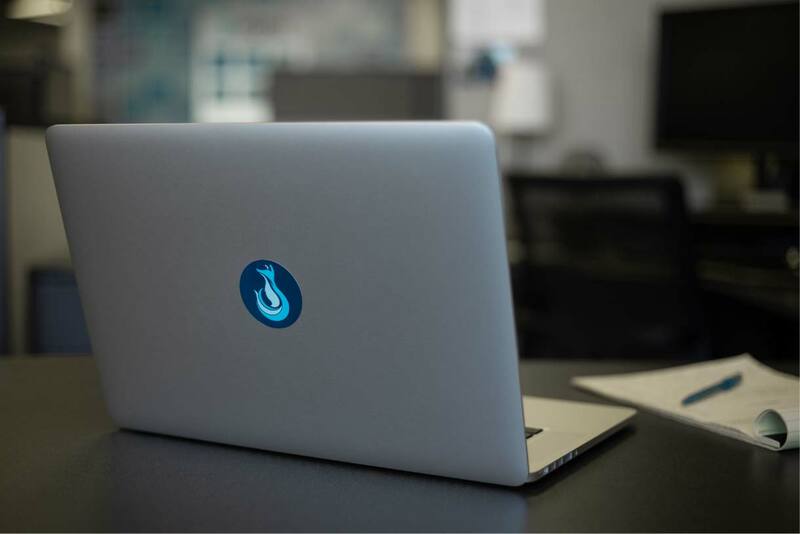 People like to decorate their laptops, notebooks, and water bottles in stickers. Labels are primarily used on product packaging: jars, cans, bags, bottles, etc. They come in rolls making them quick and easy to install on numerous items. Another important factor to consider is lifespan. Decals last the longest, followed by stickers, and then labels. If you are looking for something that will last over a year, you will want to go with some type of decal. If you’re looking for something that is small and quick and easy to install, you’ll want to go with a sticker or label.